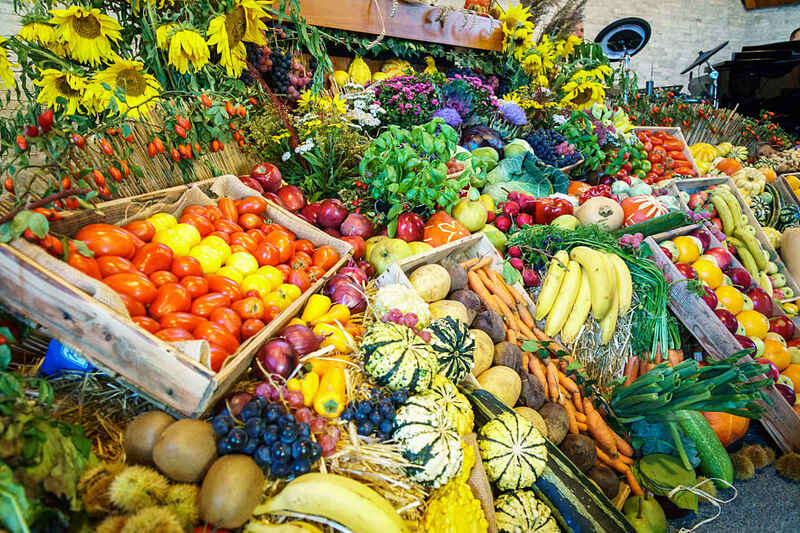 There is a lot of talk these days about how many of us are disconnected from our food sources and, as a result, are at risk of taking food for granted. Have you ever caught yourself complaining that there are too many cereals or yogurts to choose from? Think about it. We are griping about an overabundance of food! Well, could this under appreciation of our bountiful food supply be harming our health? Put another way, can gratitude actually enhance both our psychological and physical health? Psychologists define gratitude as a general state of thankfulness and/or appreciation. It is appreciation for what a person receives, of what is valuable and what is meaningful to oneself (1). The experts also tell us that gratitude causes us to recognize that the source of that goodness comes from outside ourselves. This connects us to other people, nature or a higher power. Health research has established that gratitude is associated with an improved sense of well-being, such as greater happiness and life satisfaction (2). In addition, a growing number of studies are suggesting that gratitude tends to make people physically healthier and cause them to adopt healthier lifestyles. Gratitude has been associated with improved duration and quality of sleep, less fatigue, decreased cellular inflammation, improved blood vessel function, fewer physical complaints, lower depression and anxiety, and even lower levels of hemoglobin A1C, a biomarker of blood sugar control. Now that gets my attention! So, how can we apply gratitude to eating and food? Appreciate the efforts that other people have made in order to nourish us. Think about what it took to get the food to your plate. The farmers tilled the soil, planted, cultivated, tended and harvested the plants or raised the animal that was sacrificed for our nourishment. The plants or meats were then cleaned, sorted, processed and packaged by workers. Drivers transported the food to the grocery or market. There, workers stocked the shelves so that we can easily make our selections, a checker helped us purchase the food and a bagger carefully placed it into bags to prevent bruises, cracked eggs or smashed bread. Then, someone at home prepared the meal so that we can finally enjoy it. Now, if you like, trace a restaurant meal back to its origins. Yes, we have come a long way from the early hunters and gatherers! Without thinking of all these steps, there is definitely a risk of taking food for granted! Take the time to use all your senses when eating. Enjoy the colors, aroma and taste of your food. Perhaps, set the table with appealing dinnerware, light a candle and play music to enhance the meal-time enjoyment. Pause before eating to give thanks for the food you are about to eat. Shop at a market that offers local produce. Asking questions about where the crops were grown connects you more deeply to the food. Grow your own vegetables, fruits and herbs. I get daily enjoyment from tending my garden to see how the plants are growing. Have you noticed that your own produce somehow tastes so much better, even if it is not an award-winning crop? Extend gratitude beyond food to your body, health, and life, in general. You might consider keeping a gratitude journal. Recently, I read about placing a "gratitude jar" in the home with strips of paper next to it. Each day, write down at least one thing for which you are grateful. Before you know it, the jar is full! Experts tell us that gratitude is a state of mind and practicing it can make us both happier and healthier. Click here to explore more about gratitude from Robert Emmons, Ph.D, an authority on the subject. You can also check out this brief gratitude meditation by Lynn Rossey, Ph.D.
Chew More, Eat Less, Weigh Less? Food-vertising - Is There Honesty in Marketing Foods?